How lucky we were to have such gorgeous weather for our stay in NY! Walking through the streets in the sunshine made for a lovely & convenient commute to and from appointments. 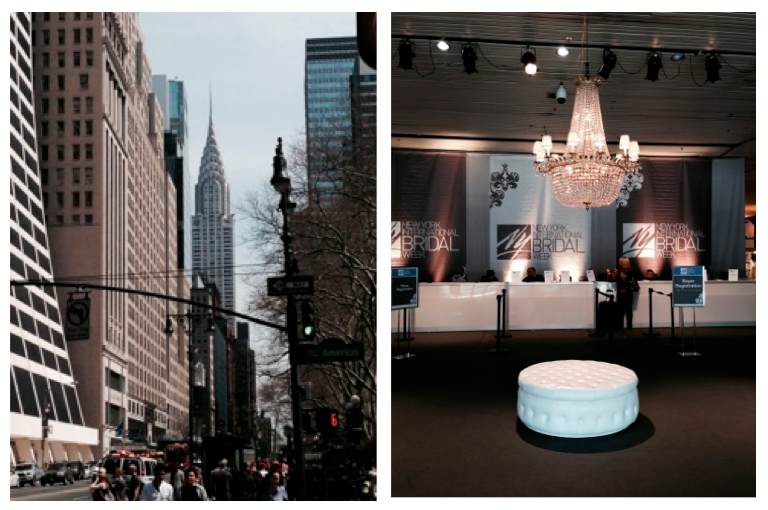 We spent most of the day at the NY International Bridal Show, held at Pier 92. This is a different setup to meet and view designer’s collections booth by booth, and show by show. Of the many designers that we met with, one of our all time favorite collections was from Casablanca Bridal! Their impeccable beading is usually what this line is known for (OBSESSED), but it was exciting to see different elements of simplicity, texture, and unique straps incorporated into their most recent collection!